James Nightingale was born on the 17th of March 1880 in Betchworth, Surrey to labourer James Nightingale Snr and Annie Nightingale nee Gregory. At the time of the 1881 Census, the family lived in Brockham, Surrey. James was working as a general labourer and Annie was looking after their children: Ann, John, Edith and James. 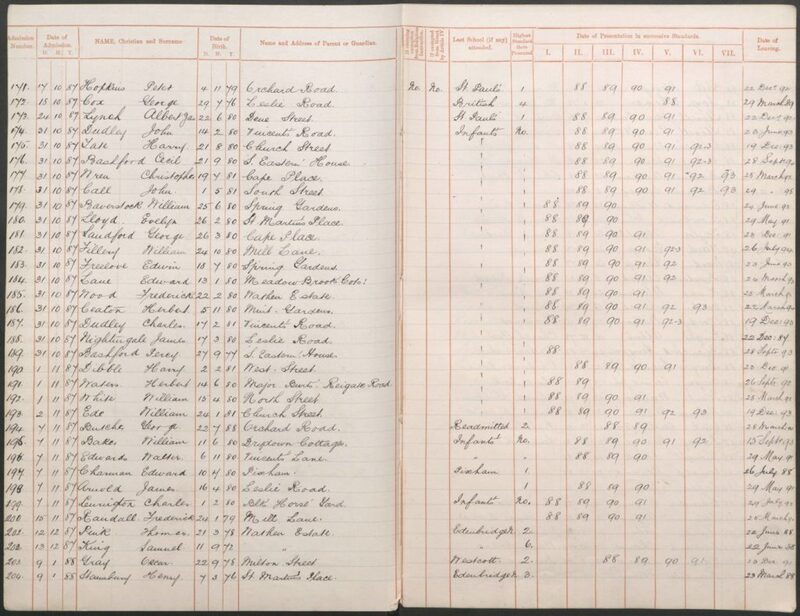 On the 31st of October 1887 James Nightingale was admitted into the St Martin’s Church of England School for Boys. At the time, the family lived in Leslie road in Dorking. 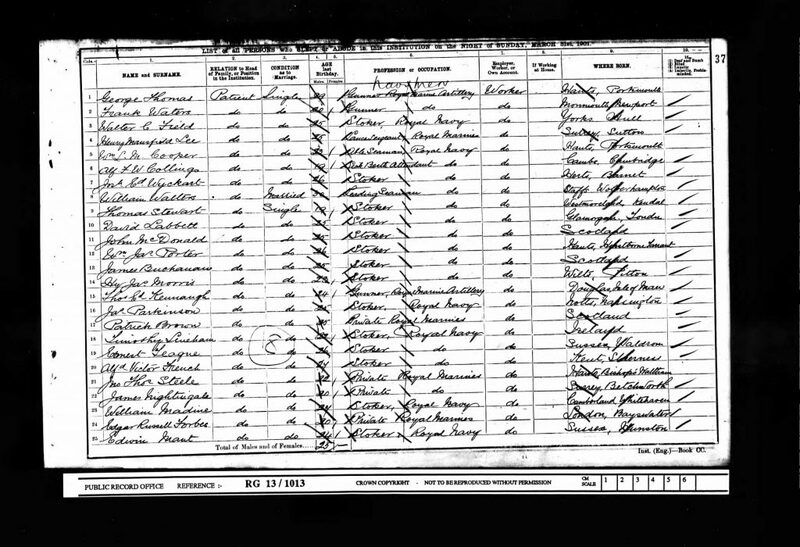 James left the school on the 22nd of December 1887. 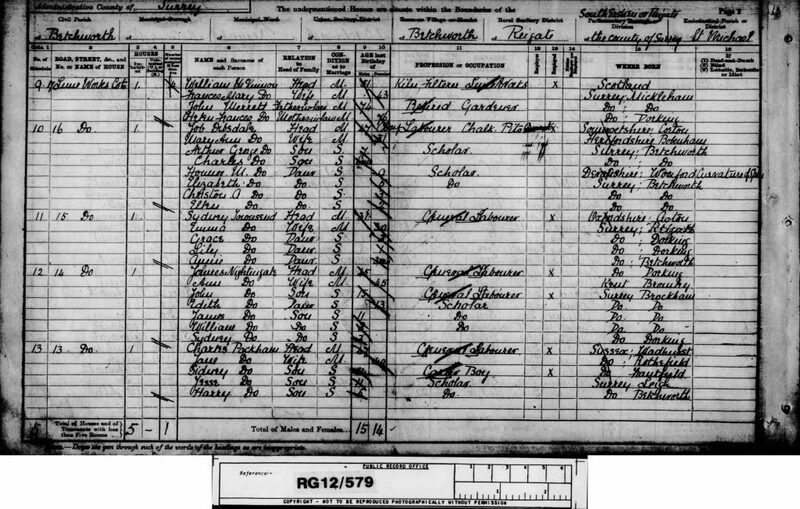 At the time of the 1891 Census, the family lived at Lime Works Cottages in Betchworth. James snr was still working as a general labourer and Annie was at home. The household further comprised of their children: general labourer John, Edith, James, William and Sydney. James Nightingale enlisted on the 13th of November 1899 in London into the Royal Marine Light Infantry – Portsmouth Division. 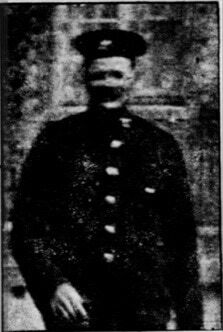 He was a Private with regimental number PO/10813 (Royal Marine Reserve/B. 1457) (PO). At the time of his enlistment he was working as a lime burner. James had a dark complexion, brown hair and hazel eyes. On the 25th of July 1900 James passed his swimming test. 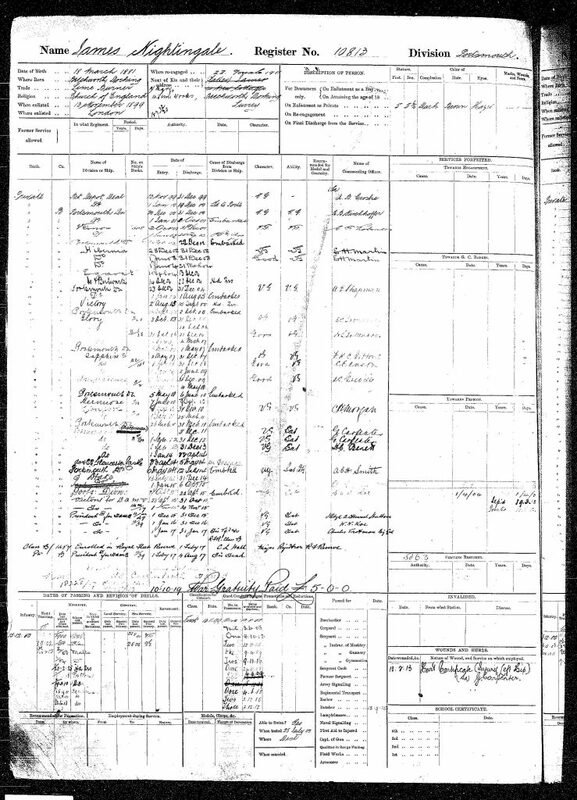 At the time of the 1901 Census, James Nightingale was a patient at the Royal Naval Hospital in Alverstoke Hampshire. James was still a Private in the Royal Marines. 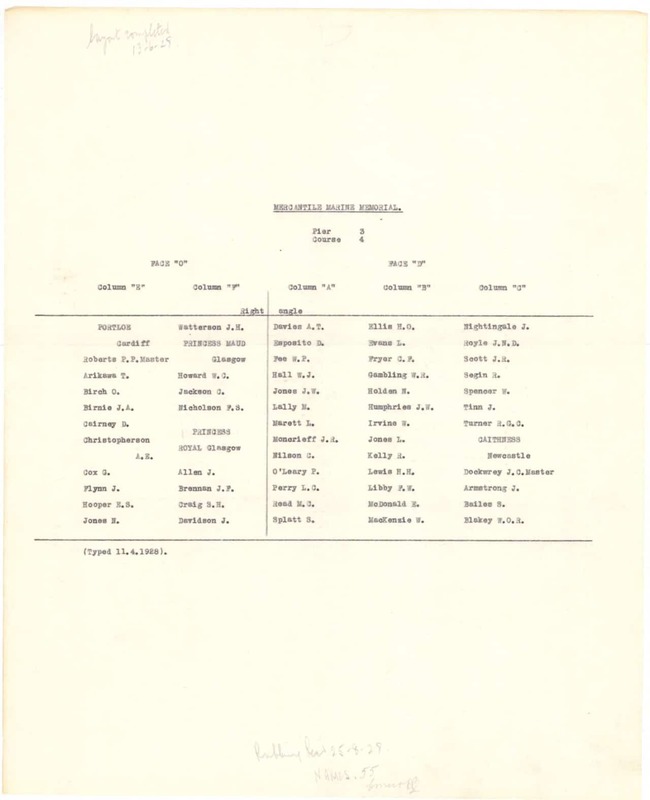 James re-engaged into the Marine Service on the 22nd of November 1911. On the 13th of July 1913 he injured his left hip. 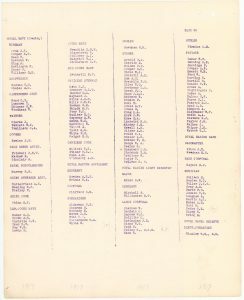 On the 1st of January 1917 James enrolled into the Royal Fleet Reserve. The last ship he served on was SS Cairnstrath, where he was a Gunner. 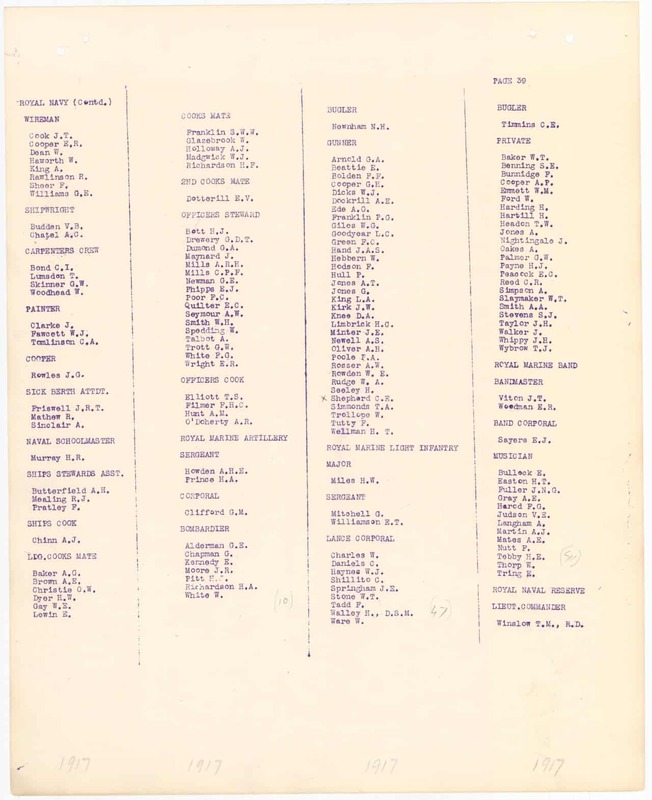 James Nightingale died on the early hours of the 4th of August 1917 on board of SS Cairnstrath in Bay of Biscay when it was struck by an enemy submarine torpedo. The ship sank almost immediately. There was only a one survivor from a crew of 23. James Nightingale had been in the Marines for over 17 years. James Nightingale is commemorated on the Plymouth Naval Memorial in Hampshire. His memorial reference is 27. In 1917 James’ parents James and Annie Nightingale lived at 14 Lime Works Cottages in Betchworth, Surrey. James’ father James Nightingale was born in the 1st quarter of 1846 in Dorking to miller’s labourer William Nightingale, born about 1815 in Reigate, Surrey and Mary Nightingale, born about 1817 in Godstone, Surrey. James was baptised on the 12th of April 1846 in Dorking. 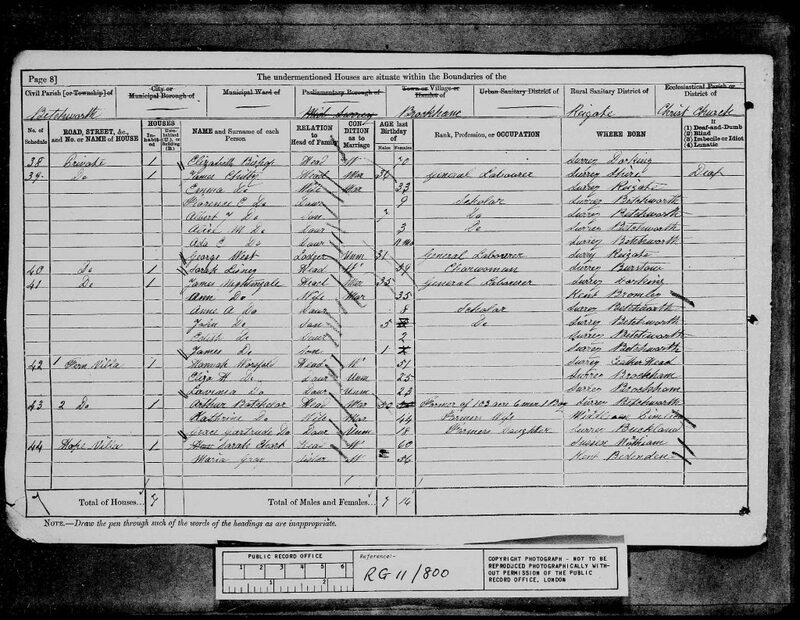 James’ mother Annie Gregory was born in the 4th quarter of 1845 in Orpington, Kent to farm labourer Jenking Gregory, born about 1806 in Sutton, Kent and Catherine Gregory, born about 1811 in Farnborough, Kent. 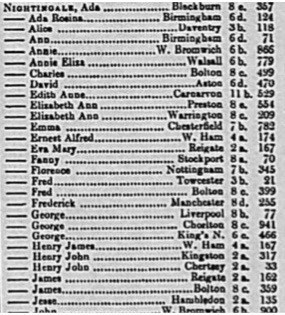 James Nightingale and Annie Gregory married in the 2nd quarter of 1870 in Bromley, Kent. 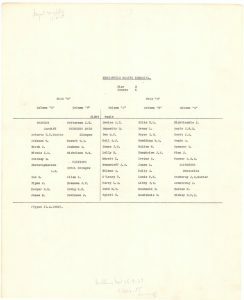 James Nightingale had eight siblings of whom six are known: Ann A born about 1873; John born about 1876; and Edith Nightingale born about 1879, all in Betchworth. William born about 1883 in Brockham. Walter born about 1886 and Sydney Nightingale born about 1888, both in Dorking, Surrey. At the time of the 1871 Census, the family lived in Cotmandene, Dorking. James was working as a labourer in an iron work and Annie was at home. The household further comprised of Annie’s niece Jane Gregory and a lodger Edward Woodman. At the time of the 1911 Census, James’ family lived at 14 Lime Works Cottages in Betchworth. James Snr was working as a general labourer in a lime works and Annie was at home. The household further comprised of their children: auxiliary postman Walter and a clerk in a lime works Sydney. Annie stated that she had given birth to nine children of whom seven were alive. The dwelling house had five rooms.